Orla s Cottage is a 3 bedroom historic Oamaru Stone workers cottage built in 1906 and is just a few hundred meters from central Oamaru, the Victorian Precinct and numerous restaurants. We have respected the original features in this home while adding modern comforts to make your stay truly unique to the Oamaru region. Each bedroom has been beautifully appointed with high quality accessories and local historical treasures. The beds are all Hotel Grade beds with luxury mattress toppers, NZ woolen Duvets and locally made NZ merino wool blankets. The interior Oamaru white-stone walls have been retained exhibiting original saw cuts and claw marks created in the quarrying and building process. Being a restored original cottage the living areas are compact whilst the bedrooms are large with high ceilings. There are also two air conditioning units in the cottage to ensure your stay is cosy in the winter and comfortable in the summer. Anna is an interior designer and Glenn a digital marketing strategy consultant. 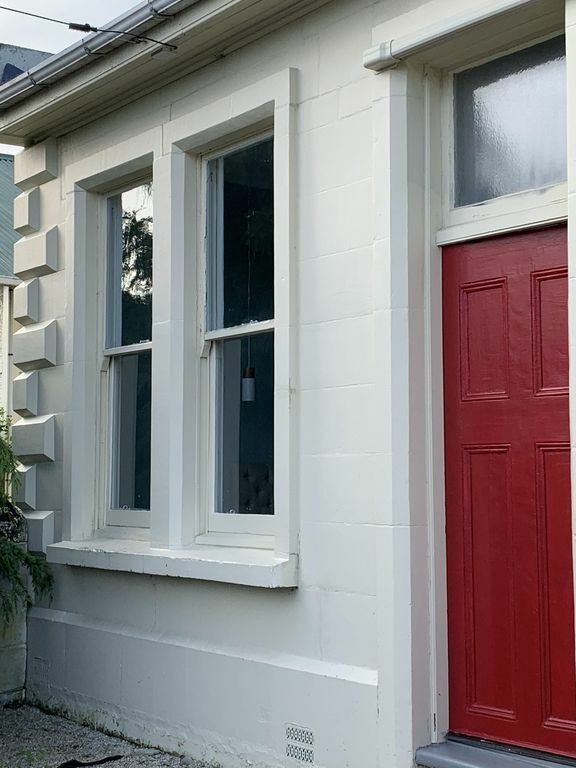 Orla's cottage is our personal holiday home in Oamaru and has been fitted out to reflect a holiday home (bach) feel while still having the creature comforts you would come to expect from higher end boutique accommodation providers around the world. We hope you love this home as much as we do and get to appreciate the history and amazing nature the Oamaru and Waitaki region has to offer. We fell in love with this old cottage when we first saw it online and bought it sight unseen! It took some work but we are so proud of the work we have put into restoring the cottage with modern amenities while still keeping its old world charm. Lovely property, very nicely decorated and dressed. The property cleanliness was immaculate and the beds were lovingly made up. The property is maybe ten minutes walk from the victorian district.